Our tarpaulins and ropes are flexible to suit a number of requirements. From camping to garden usage, for tools and body shop, our range is suitable to help protect anything that needs concealing. Our products offer light weight and heavy weight properties with special material features such as UV protection, shrink proof, rot proof and most importantly water-resistance. 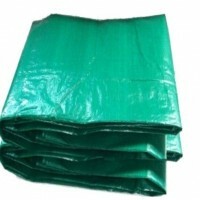 3 X GREEN TARPAULIN GROUNDSHEET / TRAILER / LOG COVER 1.8 X 2.4 METRE - 6FT X 8FT approx TEAR ..
5 X GREEN TARPAULIN GROUNDSHEET / TRAILER / LOG COVER 1.8 X 2.4 METRE - 6FT X 8FT approx TEAR ..
50 Pair Cam Buckle Tie Down Straps (100 Straps Total) Strap Length 2500mm. - (8 feet) ..
100 metre length of 25mm (1") Flat Discharge Hose for Submersible pumps High capacity 25mm d..
10 metre length of 25mm (1") Flat Discharge Hose for Submersible pumps High capacity 25mm di..
10 metre length of 50mm (2") Flat Discharge Hose for Submersible pumps High capacity 50mm di..
6 x Pair Cam Buckle Tie Down Straps (12 Straps Total) Strap Length 2500mm. - (8 feet) ..
6 x Pair Cam Buckle Tie Down Straps (12 Straps Total) Strap Length 2500mm. - (8 feet) St..
12 PC STRAP SET 25mm x 2.5m EASY-LOCK STRAPS 2 Piece Cam Buckle Tie Down Straps 2.5M X 25mmPair C..
6 x Pair Cam Buckle luggage Tie Down Straps (12 Straps Total) Strap Length 2500mm (8 feet) ..
9 x Pair Cam Buckle Tie Down Straps (18 Straps Total) Strap Length 2500mm (8 feet) Strap..
9 x Pair Cam Buckle luggage Tie Down Straps (18 Straps Total) Strap Length 2500mm (8 ..
18 PC STRAP SET 25mm x 2.5m EASY-LOCK STRAPS 2 Piece Cam Buckle Tie Down Straps 2.5M X 25mm Pair ..